At the end of the 1900 baseball season, the Western League was positioned by its president, Ban Johnson, as a new major league that would compete with the established National League (NL). The league was reorganized and renamed the American League (AL), and eight cities fielded teams in the 1901 season. A Baltimore team had played in the NL through the 1899 season, after which the club was shut down by the league. Baltimore was one of three former NL cities where the AL placed teams in an effort to reach underserved fans. The new Orioles’ first manager was John McGraw, who had held the same position for the previous Baltimore team in 1899; McGraw also held an ownership stake. 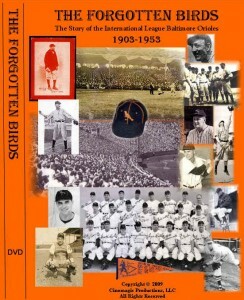 Orioles – The team’s nickname is taken from the Baltimore Oriole, a small blackbird of the passerine family. The Baltimore Oriole is also the state bird of Maryland. 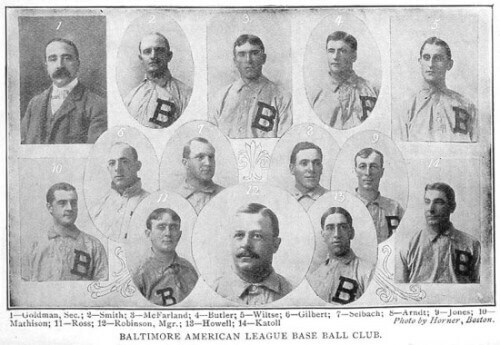 A Baltimore team had played in the NL through the 1899 season, after which the club was shut down by the league.